Finnegan Kummer of Little Shemogue, N.B. and Catherine Hall of Johnville, N.B. have been named the University of New Brunswick’s recipients of the prestigious Schulich Leader Scholarships. Created in 2011 by Canadian business leader and philanthropist Seymour Schulich, this annual scholarship program encourages promising high school graduates to embrace STEM (Science, Technology, Engineering, Mathematics) in their future careers. This year, there were more than 1,500 Schulich Leader nominees from across Canada vying for 50 scholarships, valued at up to $80,000 each. Since inception, 220 students have received this celebrated scholarship. 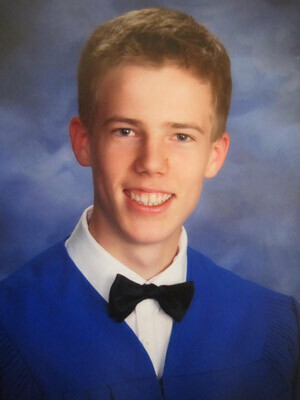 Finnegan Kummer, 18, is a recipient of the $80,000 Schulich Leader Scholarship. A graduate of Tantramar Regional High School in Sackville, New Brunswick, Mr. Kummer will be entering the bachelor of engineering program this fall. Mr. Kummer was selected for his outstanding academic record, his extracurricular work in student government and athletics and his volunteer efforts in the community, particularly in the areas of wetlands promotion and conservation. 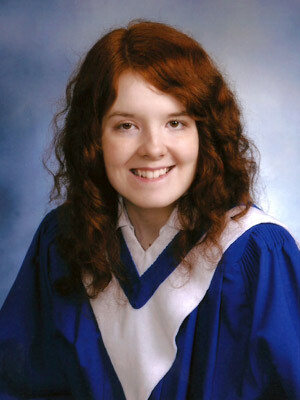 Catherine Hall, 18, is a recipient of the $60,000 Schulich Leader Scholarship. A graduate of Carleton North High School in Bristol, New Brunswick, Ms. Hall will be entering the bachelor of science program this fall. Ms. Hall was selected for her outstanding academic credentials, her leadership in student government, her commitment to the school’s drama and musical programs and for volunteering in her community. Schulich Leader Scholarships are prestigious entrance scholarships awarded to high school graduates enrolling in a Science, Technology, Engineering or Mathematics (STEM) undergraduate program at participating universities in Canada and Israel. Recognizing the increasing importance and impact that STEM disciplines will have on the prosperity of future generations, businessman and philanthropist Seymour Schulich established this $100 million scholarship fund in 2011 to encourage our best and brightest students to be the next pioneers of global scientific research and innovation. This program awards 100 scholarships annually, valued at more than $5.5 million. Schulich Leaders can devote their full time and attention to their studies, as all of their financial needs are covered over the course of their degree. As a result, many of our highest potential students are winning these scholarships and will make great contributions to society.